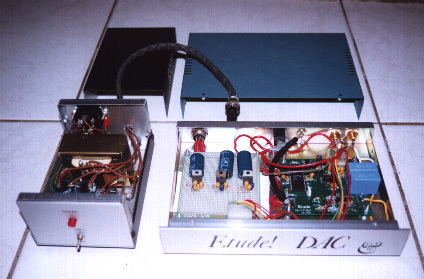 designed the power supply kit for DA-1716KIT. CS8414 receiver,Burr-Brown PCM1716 DAC Chips and the NE5532 as analog filter. OPA2134/2604 to make comparation with the NE5532. Linear Technology LT1085 for 5V and Linear Technology LM317/337 for +/-12V regulator. Linear Technology LT1085 for 5V and NS LM317/337 for +/-12V regulator. contents,please contact sales@diyzone.net for more detailed information.